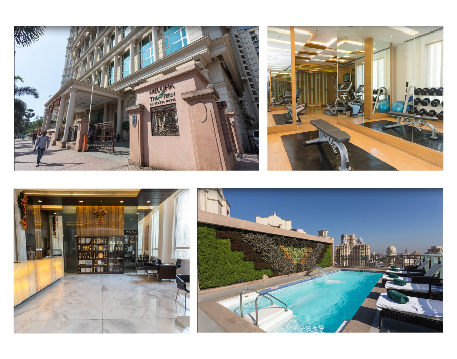 A 5 star environmentally responsible hotel with 35 awards to its credit, Meluha The Fern An Ecotel Hotel, in Mumbai is the world’s only hotel to have an ecotel Level 1 certification and a LEED Gold rating. Located in the heart of Hiranandani Gardens, Powai, and situated in close proximity at a distance of 8kms and 12 kms from the international and domestic airports, this 5-star hotel with 141 rooms and suites and was named in honour of the legendary Indus Valley Civilisation. With easy access to Mumbai’s main transit options, and within a 10 kms radius of the NESCO convention centre in Goregaon and Bandra’s BKC business areas and a 6 kms radius from MIDC, SEEPZ and the IIT campus, Meluha The Fern, Mumbai, is the ideal business hotel for the discerning traveller.